Anodised aluminium frame fitted with toughened glass. The standard finish is satin silver but others are available on request. 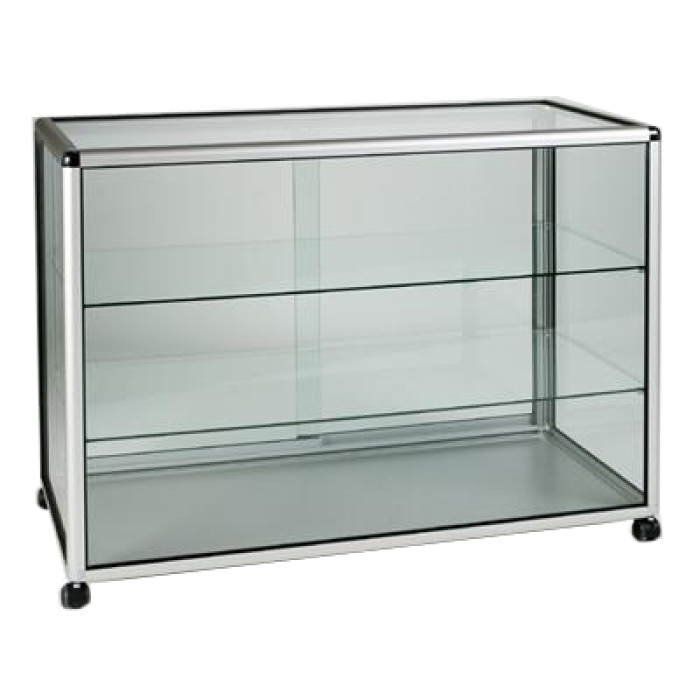 It measures 1500mm wide x 600mm deep x 900mm high, has two lockable sliding doors as well as two glass shelves and lockable castors. Delivered fully assembled and the price includes delivery. Please allow 14-21 days for delivery as these units are made to order. 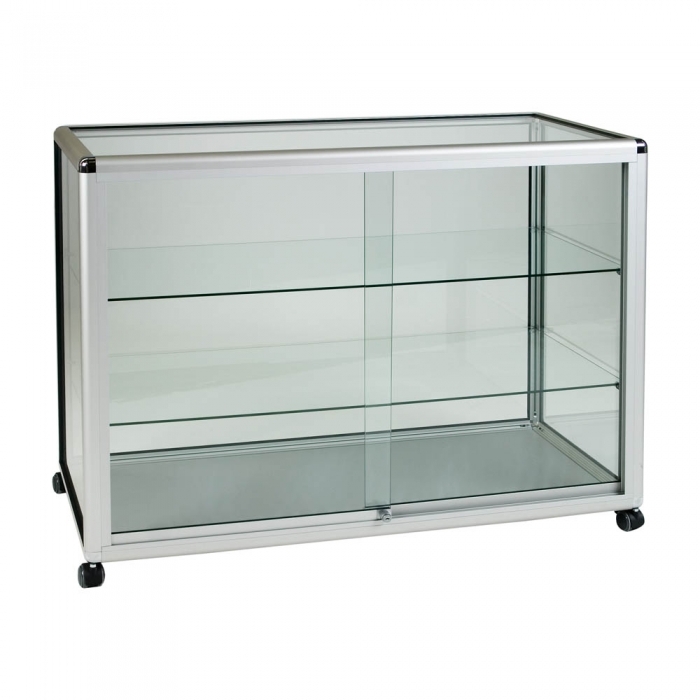 It measures 1500mm wide x 600mm deep x 900mm high, has two lockable sliding doors as well as two glass shelves and lockable castors.